He’s more used to shimmies than shammies. But, even during his summer holidays, hard-working Villa winger Marc Albrighton has been displaying a ‘no pane, no gain’ attitude by helping his mates clean windows. Albrighton swapped his boots and shinpads for a bucket and sponge to join Bolehall Swifts boss Daren Fulford and his son Conor on their round in Tamworth town centre. While the 22-year-old wideboy will be hoping to climb the Premier League ladder with Paul Lambert’s Lions next season, he has always tried to stay grounded and close to his hometown. Albrighton enjoyed his brief work experience with his pals after taking them up on a humorous dare, but he much prefers 3pm kick-offs to early starts. “I’d had a bit of banter with them about window cleaning,” said Albrighton, who his hoping to return to form and fitness to kickstart his claret and blue career under the new boss. “They were saying I had never done a hard day’s work in my life. I’d put it to the back of my mind, but when the season finished they brought it up again. So I decided it would be fun to give it a go and it was a great laugh. “I really enjoyed it and didn’t think it was too tough. The one killer part was the 5.30am start, but I thought I did well with the rest of it. It’s always been drilled into me to stay as grounded as possible and my mum and dad have always helped me to keep my feet on the ground. “I know a lot of people have bad views on footballers. There’s a stereotypical view of players in the Premiership but there are a lot of good lads. Fulford, who manages the Midlands Combination Premier Division side, admits fans were doing double-takes when they noticed Albrighton cleaning windows. 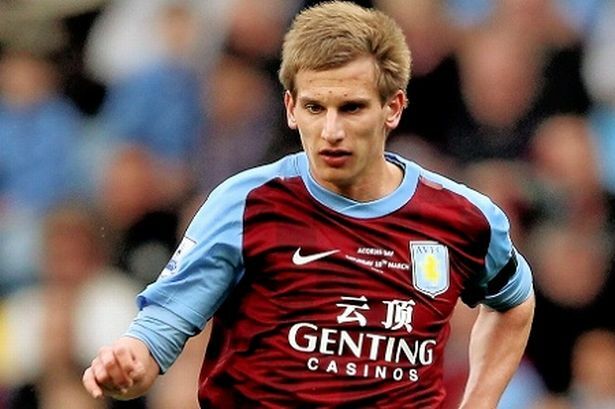 And he insists it reflects well on Villa’s England Under-21 star. Albrighton is striving for a transformation in fortunes after failing to consistently hit the heights of his breakthrough season during a stop-start 2011-12 campaign. “When you play in the Premier League you’ve got to keep trying to improve, especially at a club like Villa.” he added.